A collection of posts about adventures in New Mexico. St. Francis Assisi in Santa Fe. 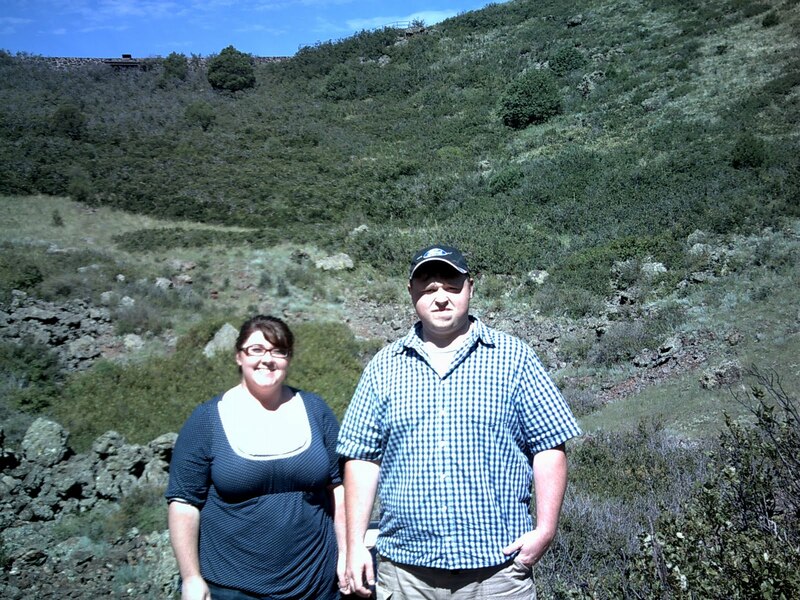 Cory and I in the crater of the Volcano. I’ve been off the grid for almost 24 hours now. My Blackberry went dead yesterday and, in a continuance of my electronic problems this trip, my car charger has gone missing. But I have backup! My regular wall charger works in the car when I plug an a/c converter into the power port. 🙂 We just can’t put the car in park until I unplug my contraption. After Amanda and I posted our first vlog entry yesterday morning, we departed Colorado for New Mexico. I really thought I would be more broken up to leave so quickly, but I’m so excited to see new things on this trip that I was over it before we hit he state line. Someday I’ll buy my mountain and build my glass house so I can see the breathtaking beauty of the Rocky Mountains 24/7/365. Of course, I’ll have piped in oxygen so Amanda won’t have to deal with altitude sickness. 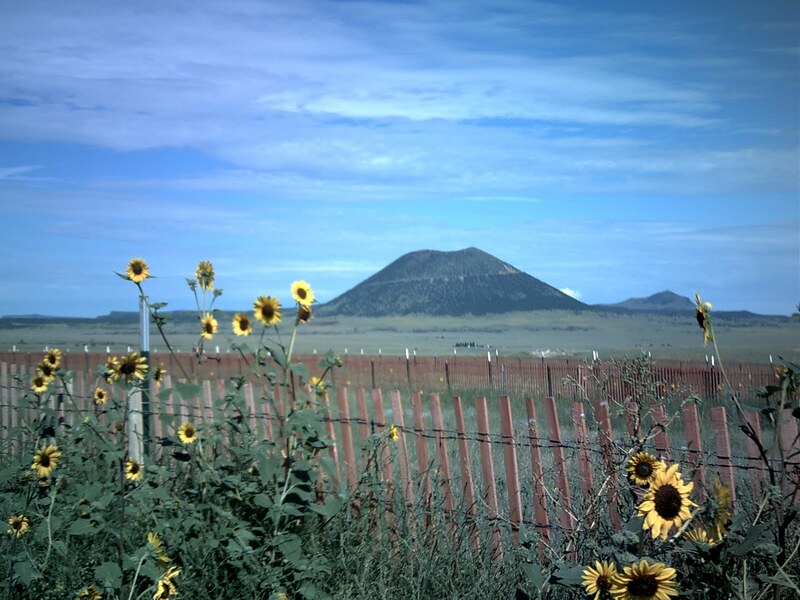 Our first stop in New Mexico was Capulin Volcano. Can you say you’ve walked into the mouth of a volcano? I can. The road to the crater wound up the sides of the cinder cone, giving us absolutely amazing views of the scenery below. At the top, a park ranger’s lecture of the different type if volcanic rock had me flashing back to my freshman geology class with Professor Brackman. Let me tell you, walking into the mouth of a volcano is a lot easier than walking out. But you cannot appreciate the full power of Capulin until you walk down to the center to see the walls completely surrounding you and igneous rock in piles, reminding you that molten rock is bubbling somewhere below the surface. Its enough to make your hair stand on end, even if Capulin hasn’t erupted in about 65,000 years. On the way out, we saw an abandoned house that would be perfect for our fugitives out on the loose. Except, it appears one of them was caught because he went to church. According to news reports, the escapee was relieved to have been captured; I guess he got the answer to his prayers. Here’s a gem from Gawker about the capture and incestuous cousins. And lastly, ABC is reporting that the escapees are white supremacists. The last convict standing and his fiancee/cousin are believed to be in Glacier National Park (somewhere I want to go), so we should be safe in Yellowstone when we arrive there next week. 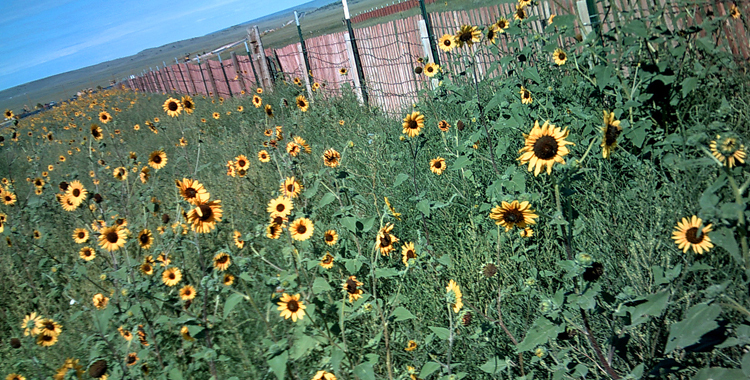 After Capulin, we visited Taos. We saw the Taos Pueblo, another UNESCO World Heritage site. I’m sure Amanda’s blog can give you much better information about it, but I was impressed by the buildings. One of them was several stories high. We could only have one camera in, so once I steal some of Amanda’s pictures, I’ll post some for you. I think the high point of this trip was when we had to stop to eat lunch in the Wal-mart parking lot. By the time we got through the Pueblo, it was around 3 p.m. We had been up since 4:30 a.m. and hadn’t eaten since about six. We looked everywhere for a rest stop or a park or something, but we found nothing. We were about to the point we were when we stopped in Lynnville, Ind. so the Wal-mart was good enough for us. 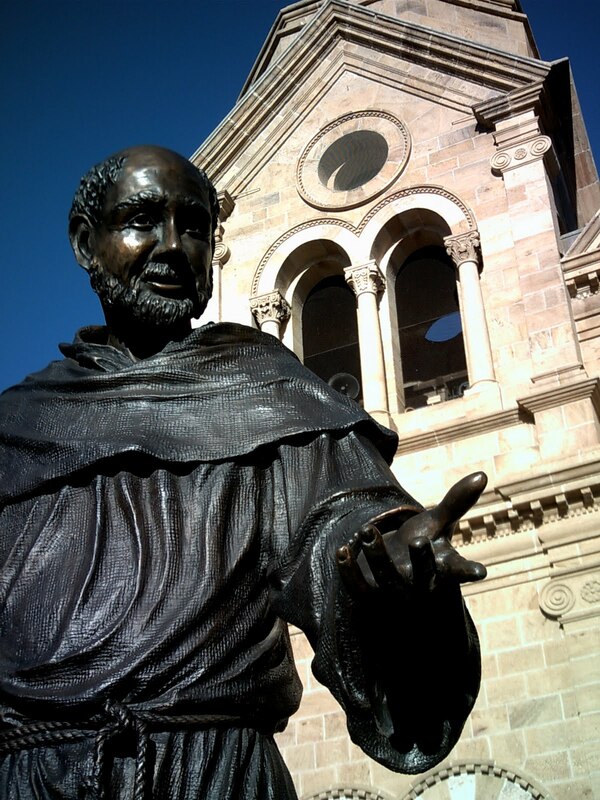 The last leg of our trip was seeing Santa Fe. Coolest. City. Ever. Amanda loves New Mexico like I love Colorado, and she was thrilled to finally get to see the city she wants to move to. I loved how the buildings were designed to look like adobe; there was no modern architecture anywhere. We made a stop at the old Town Square, after it took us an hour to find it (thanks again, Sheila) and got some beautiful pictures of the church there.